William Richardson, MD of Green Element, rather likes the idea that a company whose origins in the US in the 1920s was started by a man bearing his own name. Almost a hundred years later, in 2014, Grant Thornton LLP UK approached Green Element to examine and report informally on the environmental impact of their Euston Office and to offer solutions for reducing their carbon footprint including their objectives, targets and potential savings. They wanted to know more about ISO 14001, the universally recognised standard that specifies requirements for implementing an effective environmental management system (EMS) which can lead to achieving accredited certification which is increasingly required by the international companies. William took them through the whole process. Grant Thornton’s corporate responsibility beliefs attach equal importance to community & environmental performances to financial & business ones, by developing the firm’s people and culture, both internally and externally with clients as well as suppliers, which they believe is critical to the success of any business. This principle is led from the top, with particular interest from the CEO, Sacha Romanovitch. The following year, having completed the assignment for their Euston Office, Grant Thornton instructed Green Element to prepare to roll out the EMS across their UK offices, in particular investigating and monitoring the company’s energy usage. This extremely detailed analysis was undertaken in tandem with their own facilities management company. This was the start of the implementation of ISO14001. “Green Element has supported us in developing, implementing and improving our environmental management system over the past few years. The team share their extensive knowledge and expertise to ensure we continue to reduce our impact on our environment. Each member of the team is extremely professional and I feel they go above and beyond in order to help us to achieve our environmental objectives. I have truly valued the support and insight Green Element has provided to our business.”. Embedded an efficient Energy Management System adapted to the company’s requirements with tangiable energy and waste-saving strategies embedded. Compliance with legal and advisory environmental reporting requirements. Implemented an efficient and accurate data collection system across all sites. Provided baseline consumption levels for selected environmental indicators. Improved internal communication of Environmental Performance Indicators and Environmental Progress. In 2015/16 Grant Thornton UK made average savings of 15% per employee in utilities, travel and paper usage, creating group-wide savings of £1.89m compared with 2014/15. The process of implementing the EMS and achieving ISO 14001 across all 40 + sites in the UK took around 8 months. Green Element did their own internal audits to make sure that legal compliance for heating systems, waste documents, boilers etc. were correct, so that Grant Thornton employees were not massively involved or distracted at the beginning of the process. The key elements of detrimental carbon emission impact, namely energy, paper, waste & travel were examined in great detail, including the use of a ‘degree day analysis’ system to examine hour by hour the correlation between temperatures inside buildings and outside in order to achieve maximum efficiency for the heating and air-conditioning. In the first year, savings of up to £250,000 were achieved by this method, equivalent to 15% per person. Green Element worked with Grant Thornton’s facilities management company as well as all employees across the UK with an office management responsibility. After the first year, a meeting was held with the Finance Director and Operations Director of Grant Thornton, and with Karen Higgins (Head of Sustainability), in order to verify the facts and figures that had been produced from the implementation of the EMS across the whole spectrum of carbon emission control; this was somewhat unnerving for William, being faced by the Finance Director of one of the largest accountancy firms in the world. By year end 2015/16 Grant Thornton UK had already exceeded all 6 of target reductions set for end 2016/17. A typical sustainability report is extremely detailed and will include some thirty charts broken down by activity and environmental impact categories, facilities, , performance against benchmarks, performance against targets and normalised carbon emissions benchmarked against industry standards. In 2015/16 Grant Thornton significantly increased its national reduction targets for all 6 measured EPIs for financial year end 2017, after exceeding our original targets. The process of implementing the EMS and achieving ISO 14001 across all 40 plus sites in the UK took around 8 months. Green Element did their own internal audits to make sure that legal compliance for heating systems, waste documents, boilers etc. were correct, so that Grant Thornton employees were not massively involved or distracted at the beginning of the process. Green Element are equipped to investigate and monitor energy usage, as well as incorporating strategies in new buildings and tenancies, for example refitting with LED lighting. After the initial process, employees engagement was encouraged and enthusiastically given, largely driven by and supported by our Senior Leadership Team, who appears to be actively promoting environmental awareness throughout the firm. Everyone is encouraged to respect the environment as they go about their work, by considering efficiency and their carbon footprint, not only for the benefit of the balance sheet, but also for the knowledge that they are, in a small way, helping to mitigate detrimental effects on the environment. 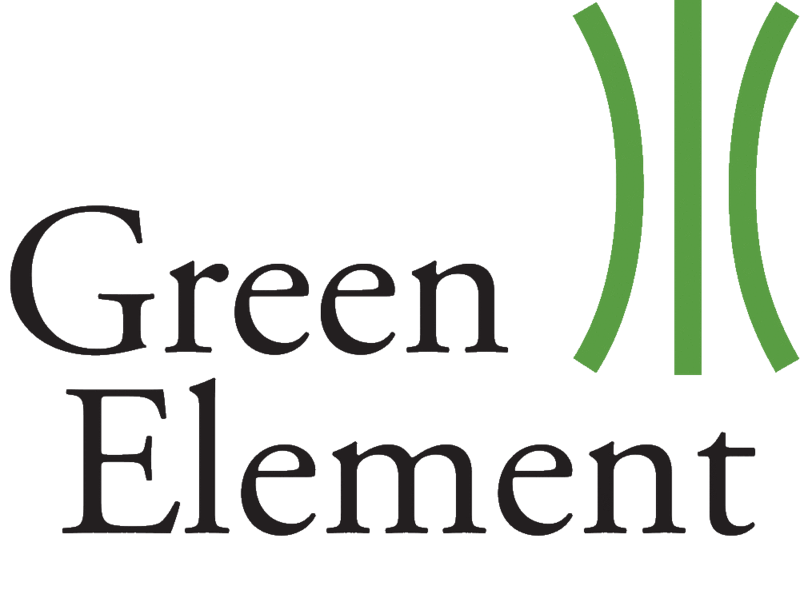 Green Element produced a management review summary each year, outlining revised objectives, methodology, new business challenges, and benefit achievements.